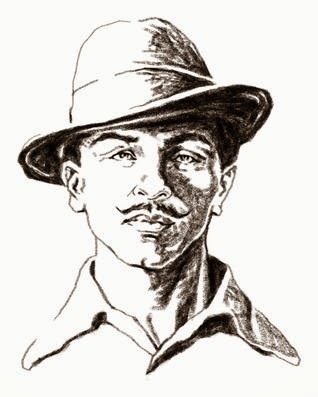 Notwithstanding the guilt-trading post which became viral on the valentine day, which yours truly was shamefully guilty of forwarding before being scolded to sense by some enlightened and better-informed soul, 23rd of March is the Martyr's Day of Bhagat Singh. Not that I am presuming for a moment that my lack of knowledge was representative of many in today's world, but the term Martyr's day has been used so loosely that it is rarely a surprise that the confusion hounds most of the citizens. In India, we do celebrate Martyr's Day on 5 occasions at the very least, depending on the ideology we follow and our allegiance to the political ideology. Such abundance of symbolism has killed any thought which might justify the observation of Martyr's Day- any or all of them. The greatness of souls which died is not based on the fact that they are dead today. It is based on the greatness their soul ensconced, the thoughts and values that they stood by when alive, even at the risk of being dead. The observance of the Martyr's day is to not sit in gloomy obeisance, with heads held down, rather to dig into the history to know what went into making of this nation which is today struggling against corruption of a magnitude which makes us wonder if we are the same people who could at one point of time in history give birth to such great souls as Bhagat Singh, Sukhdev Thapar and Shivaram Rajguru. It is the celebration of defiant voice of reason, which will not be cowed down by the mobs of the time. We take pride in our modest sacrifices and our shallow intellect. Intellectual discourse does not stand by any value today. Most often what we read is not aimed at shaping public opinion, rather follows public opinion. It is reportage which clouds our thinking, not thought-building and thought-provoking ideas. The intellectuals of the day, look for the direction in which the wind might be blowing and than write in the direction where the wind might be carry least amount of sand. We have of late, observed a great rising against corruption in the country. The interesting thing about this whole India Against Corruption was the timid opposition it faced. I wonder if we, the generation of the day, could have withstood an opposition more fierce or an uprising, if I may call it so, more prolonged. Even baton-charges were seemingly orchestrated for least damage to either side, not taking into account the midnight assault on unsuspecting protesters led by Yoga Guru, Baba Ramdev. India against Corruption was fueled by typical youth rebellion and that it came with a fashion statement and very less to be placed at stake, with a possible chance at power, made young men and women join it in hordes. The Common man, having had the Cappuccino in Cafe Days, felt enlightened enough to come out in the street and jump over the chance opportunity. It was a two-minute-noodle revolution in making which was to smoothly slip into a pursuit of power, crushing and humiliating any dissenting thought or intellect which went into initial creation of the movement as it were (Ex- General, Ex- Police Officer). Anything longer, stiffer, I suspect might not have kept up with ever-shifty attention of today's youth. We take pride being the generation of 21st century, being an informed and intellectually alive society. Information has replaced intellectual discourse in today's world where every dissenting voice is shouted down. We are so starved for heroes that we jump at every impostor with a foolish hope. Irreverence is considered as intellect. It is true that Arvind Kejriwal carefully places the framed picture of Bhagat Singh behind him in most interviews, but given that he considers it necessary to wear a skull-cap while discussing the roadmap for Indian Muslims, I can not fathom it to be anything more than a symbolism, trying to leverage the emotional feelings of citizens for his electoral gains. I can only hope Mr. Kejriwal found time between his thermodynamics classes in IIT to read "Why I am an Atheist" by Bhagat Singh which is an interesting read. All the religions in this world are not sufficient to counter the ills of religion. When religions escapes your mind and heart and tries to overwhelms the space of public governance, it starts getting disfigured. I wonder if the AAP roadmap for Indian Muslims speaks of Muslim only roads and Islamic electricity and on the counter-point, if Modi speaks of Hindu electricity which chants Ram-Ram every time a bulb is switched on. Governance is secular by nature and it should remain thus. The insistence of citizens to be treated as separate from fellow citizens is stupidity and the agreement of leaders to succumb to such desire of interested parties is callous, calculative, uninspiring and saddening. It leaves no hope for future. It creates mobs and offer them legitimacy. It allows them to frame the rule. I wonder an India in which Salman Rushdie is banned, Bhagat Singh could have escaped trouble after writing "Why I am an Atheist?" Even Bhagat Singh lamented our own lack of capability to throw ourselves in for a cause in face of ridicule, opposition and threat for life. 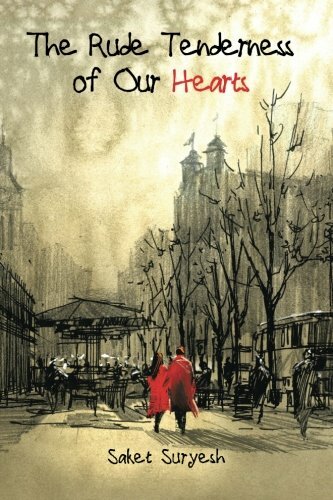 He wrote,"We highly appreciate the situations of pain in their (Russian) stories, but we do not feel the spirit of suffering within ourselves.We also admire their passion and the extraordinary height of their characters, but we never bother to find out the reason. I will say that only the reference to their resolve to bear pain has produced the intensity, the suffering of pain, and this has given great depths and heights to their characters and literature." Of course, he was referring the times in Russian politics before Crony-capitalism and Communist Billionaires appeared on their scene. Those were different times and the failures of Communism were yet to come out. He might have thought differently today and attempts by people on either side of the left-right divide to appropriate Bhagat Singh's legacy is saddening. One can not but be mesmerized by the depth of thoughts of a young man of twenty three. It takes great intellectual strength and great spirit of wisdom to place it on record (nothing off the record, Mr. Kejriwal, here) that "This is a struggle dependent upon middle class shopkeepers and few capitalists. Both these and particularly the latter can never dare to risk its property or possession in any struggle." He goes on expressing fear that "the present struggle is bound to end in some sort of compromise or failure." I as a mugwump need to see intellectual uprising that goes beyond the Namo chants and skull caps. We need anarchists with defined intellectual moorings. We need people who can rise against the popular opinion and stand for what is right, and no, it will not be a two-minute noodle. We can not have a fast-food freedom. We need to restructure our thoughts. We need to have policies for education which is beyond setting up of schools. We need to have infrastructure policies which tells citizens the roads which will be made, village which will get electricity, and we need tall leaders who come out and say that they will not be able to offer televisions because they need that money to build roads and provide electricity and clean water. We need leaders, not the status-quo-ists who are bothered by skull caps, and for that we need to become the citizens who are not bothered by such symbolism either. We do not need school buildings, we need educational policy, we need the teacher hiring programs. Why do we have teachers being baton-charged all across the country? Where is health care? Health care, schools - they are not about civil work and festival for contractors, they are about people who man them. In a Billion plus population where people are desperately looking for jobs, can't we find manpower good and sufficient enough to run these organizations. We can no longer afford to be satisfied with symbols. We can not gloat at Sanskritized re-naming of aged and retired Russian equipment and be a self-proclaimed global leader, when our soldiers are beheaded on border and we are worried about what to wear on the head. One merely needs to go through the structured plan made by the brilliant intellectual Bhagat Singh was in the days of unstructured freedom struggle and understand how lacking we are today. We need to look beyond 300 litres of free water and free electricity. We need to ask on economics why the country with largest coal reserves is biggest importer of coal and also at the same time ask on probity as to why people who make hosiery are getting license to mine coal. It is time to ask brave question and not be intimidated. Let us try to inculcate a little bit of intellectual courage of twenty three year old. Times are less trying, just a little bit will do, but even just a little bit is so difficult to come by these days. It cannot be rushed. It will not happen in a hurry. As Thomas Paine said, "What we obtain too cheap, we esteem too lightly. 'Tis dearness only that gives everything its value. Heaven only knows how to put a proper price upon its goods; And it would be strange indeed if so celestial an article as freedom should not be highly rated."